Wendy M. Novicoff, Ph.D. is a Professor in Public Health Sciences, heading the Novicoff Program in Research in Quality and Patient Safety, coordinating the Be Smart-Be Safe Program in Quality and Patient Safety (a joint program between the School of Medicine and the UVA Hospital), and participating in the Clinical Outcomes and Comparative Effectiveness Research program. She is a health services researcher employing both qualitative and quantitative research methodologies, with special expertise in outcomes evaluation, program design and evaluation, and performance improvement in hospitals and health systems. 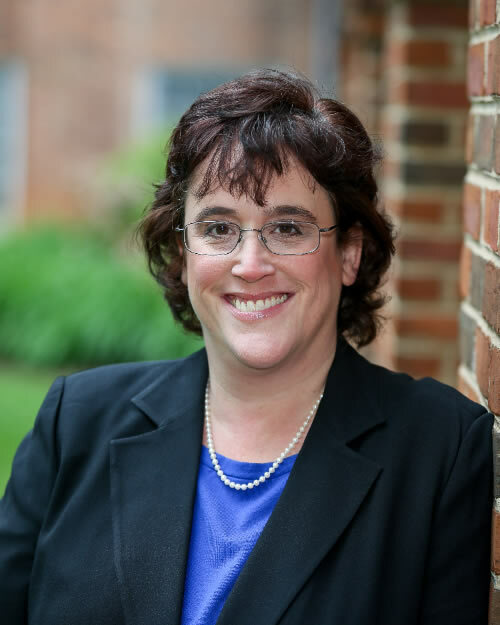 She is a certified Lean Six Sigma Master Black Belt, and she has taught quality and performance improvement to groups both within UVA and around the country, including serving as Faculty for the American College of Healthcare Executives (ACHE). Dr. Novicoff also has a faculty appointment with Orthopaedic Surgery, where she leads clinical outcomes research projects with residents and faculty. She has published more than 50 peer-reviewed publications, and she has presented more than 100 abstracts at national and international conferences. Eby JC, Richey MM, Novicoff WM, Mathers AJ, Platts-Mills JA, Cox HL. A healthcare improvement intervention combining nucleic acid microarray testing with direct physician response for management of staphylococcus aureus bacteremia. Clin Infect Dis 2017 (in press). Edwards BL, Atkins KA, Stukenborg GJ, Novicoff WM, Larson KN, Cohn WF, Harvey JA, Schroen AT. The association of mammographic density and molecular breast cancer subtype. Cancer Epidemiol Biomarkers Prev 2017 (in press). Browne JA, Dempsey IJ, Novicoff WM, Wanchek T. When would a metal-backed component become cost-effective over an all-polyethylene tibia in total knee arthroplasty? Am J Orthop 2017 (in press). Browne JA, Cancienne JM, Novicoff WM, Werner BC. Removal of an infected hip arthroplasty is high-risk surgery: putting morbidity into context with other major non-orthopaedic operations. J Arthroplasty 2017 (in press). Cancienne JM, Kandahari AM, Casp A, Novicoff WM, Browne JA, Cui Q, Werner BC. Complication rates of total hip and knee arthroplasty in patients with hepatitis C compared to matched controls. J Am Assoc Orthop Surg 2017 (in press). Tannan SC, Kleban SR, Novicoff WM, Campbell CA. The influence of plastic surgeon age and gender on decision-making in breast reconstruction: a national survey of plastic surgeons. Eur J Plast Surg 2017 (in press). Puvanesarajah V, Jain A, Cancienne JM, Stein BE, Novicoff WM, Shimer AL, Shen F, Hassanzadeh H. BMP use and the risk of revision surgery after long posterolateral fusions in the elderly. Clin Spine Surg 2017;30:931-931. Hadeed MM, Kandil A, Patel V, Morrison A, Novicoff WM, Yarboro S. Factors associated with patient-initiated telephone calls after orthopaedic trauma surgery. J Orthop Trauma 2017;31:96-100. Guterbock TM, Cohn WF, Rexrode DL, Eggleston CM, Dean-McKinney M, Novicoff WM, Yaffe MJ, Knaus WA, Harvey JA. What do women know about breast density? Results from a population survey of Virginia women. J Am Coll Radiol 2017;14:34-44. Novicoff WM. CORR Insights: Can original Knee Society Scores be used to estimate new 2011 Knee Society Scores? Clin Orthop Relat Res 2017;475:168-169. Yildirim B, Puvanesarajah V, An HS, Novicoff WM, Jain A, Shen FH, Hassanzadeh H. Lumbosacral epidural lipomatosis: a retrospective matched case-control database study. World Neurosurg 2016;96:209-214. Abel MF, Singla A, Feger MA, Sauer LD, Novicoff WM. Surgical treatment of Lenke 5 adolescent idiopathic scoliosis: comparison of anterior vs. posterior approach. World J Orthop 2016;7:553-560. Puvanesarajah V, Shen FH, Cancienne JM, Novicoff WM, Jain A, Shimer AL, Hassanzadeh H. Risk factors for revision surgery following primary adult spinal deformity surgery in patients 65 years and older. J Neurosurg Spine 2016;25:486-493. Looney AM, Dighe AS, Novicoff WM, Cui Q. Stem cell therapy for early stage osteonecrosis: challenges and future research directions. Formosan Journal of Musculoskeletal Disorders 2016;7:119-126. Kandil A, Griffin J, Novicoff WM, Brockmeier S. Blood transfusion after total shoulder arthroplasty: Which patients are at high risk? Int J of Shoulder Surg 2016;10:72-77. Edwards BL, Guidry CA, Larson KN, Novicoff WM, Harvey JA, Schroen AT. Does mammographic density have an impact on the margin re-excision rate after breast-conserving surgery? Ann Surg Oncol 2016;23:782-788. Yu D, Novicoff WM, Gamppers TJ. The average size and position of the umbilicus in young men and women. Ann Plast Surg 2016;76:346-348. Duska LR, Mueller J, Lothamer H, Pelkofski EB, Novicoff WM. Lean methodology improves efficiency in outpatient academic Gynecology Oncology clinics. Gynecol Oncol 2015;138:707-711. Upchurch Jr. GR, Freischlag JA, Novicoff WM, Early K, Turner PL, Zinner MJ. A survey of the American College of Surgeons scholarship recipients: a story of generating academic leaders. Werner BC, Burrus MT, Novicoff WM, Browne JA. Total knee arthroplasty within six months after knee arthroscopy is associated with increased post-operative complications. J Arthroplasty 2015;30:1313-1316. Feger MA, Lunsford CD, Sauer LD, Abel MF, Novicoff WM. Comparative effects of multi-level muscle tendon surgery, osteotomies and dorsal rhizotomy on functional and gait outcome measures for children with cerebral palsy. PM&R 2015;7:485-493. Cohn WF, Novicoff WM, Dean MM, Guterbock TM, Rexrode DL, Eggleston C, Harvey J, Knaus W. Are women willing to change breast cancer screening guidelines? Cancer Epidemiol Biomarkers Prev 2015;24:765. Harvey JA, Stukenborg GJ, Cohn WF, Repich KL, Alonzo O, Novicoff WM, Yaffe MD, Knaus WA. Volumetric breast density improves breast cancer risk prediction. Cancer Research 2015;75:P6. Edwards BL, Atkins KA, Stukenborg GJ, Novicoff WM, Larson KN, Cohn WF, Harvey JA, Schroen AT. Association of mammographic density and molecular breast cancer subtype. Cancer Research 2015;75:P2-P4. Davis JP, Politano AD, Guidry CA, Ellis SR, Novicoff WM, Cherry KJ, Kern JA, Upchurch GR, Tracci MC. Mortality rate discrepancies among patients undergoing amputation – a comparison of source data. Ann Vasc Surg 2015;29:644. MacLean IS, Novicoff WM, Browne JA. Intraoperative frozen section analysis for failed metal-on-metal total hip arthroplasty: is it useful? J Surg Orthop Adv 2015;24:51-56. D’Apuzzo MR, Novicoff WM, Browne JA. The John Insall Award: Morbid obesity independently impacts complications, mortality, and resource use after TKA. Clin Orthop Relat Res 2015;473:57-63.